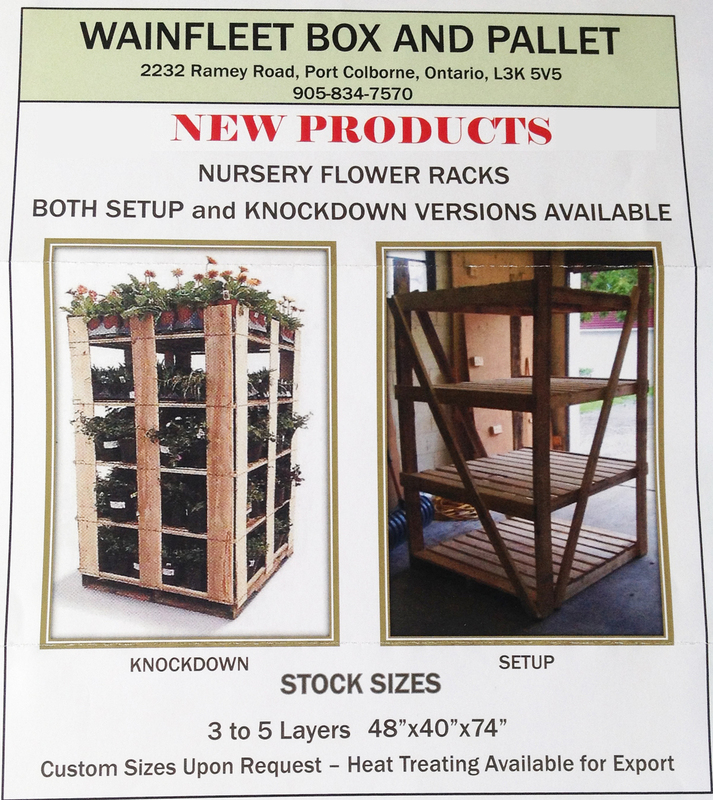 Wainfleet Box & Pallet provides customers with any variety of specifically designed pallets. Whether your needs are for 2-way, 4-way, hardwood, softwood, or heat-treated for export, we can accommodate you. Depending on customer requirements, pallets can be stored on-site for quick delivery, or made to order in our production facility. Product offerings at Wainfleet Box & Pallet includes various corrugated and plastic packaging items designed to meet customer specifications. Our industry experience and supplier relationships gives you high quality product at a reasonable cost. Items are stored in our on-site warehouse to provide "just in time" delivery. Wainfleet Box & Pallet provides dunnage cut to size or full lengths of lumber for the customer to cut themselves. All lumber can be provided heat treated and certified. We have several different sized boxes available or we can design a box or crate to meet your exact specifications. All boxes/crates can be heat treated for export. New for 2014! Both set up and knockdown versions available. Please call for pricing and information.